Ooops! So the flyer we just posted shows the wrong date and time! The Ice Cream Social with the Cool Haus Ice Cream Truck is ACTUALLY today, Sunday, April 25th from 3-5pm! 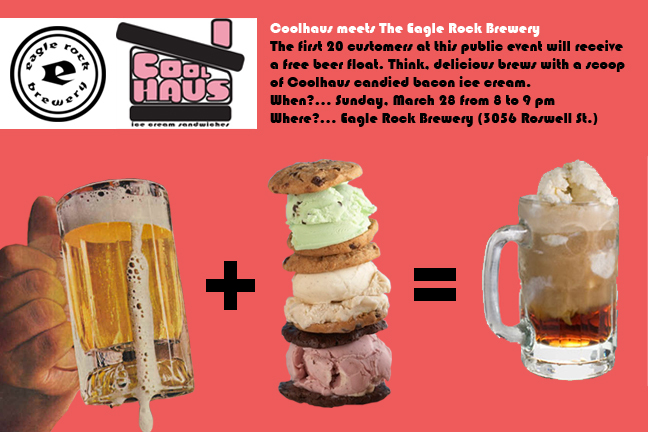 Sorry for the confusion, but come join us and we’ll all clear our heads with some delicious ice-cream & beer! Come join us for an ice cream social! We were a bit late in the game this month, but yes, we’re keeping the Beer Education Series going! And the topic of the month – HOPS! Come and join us to learn about hops and the characteristics of different hop varietals. We’ll be tasting some hop teas and single hop beers to explore the nuances of various hops. The class will be on Tuesday, 4/27/10 from 7p-9p at the brewery. Taproom will be available at 6p for people who are registered for the class to come to pick up your class materials and have a beer if you’d like. Attendance is limited to 30 people, so please register at our online store to secure your spot in the class. The $30 registration fee for the class is non-refundable, so please make sure that you are able to make it to the class prior to registering.